A literary agency that has been in business for over 40 years, we represent a wide variety of adult fiction and non-fiction authors. In addition to a well-established list of clients, among them best-selling and prize-winning authors, we pride ourselves on discovering and developing new talent. 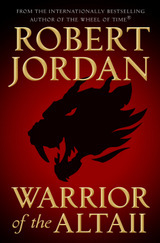 A stand-alone fantasy novel by Robert Jordan, WARRIOR OF THE ALTAII, to be published for the first time. Robert Jordan's THE WHEEL OF TIME series to be adapted for the screen by Amazon and Sony Pictures. A FRIEND IS A GIFT YOU GIVE YOURSELF by William Boyle selected as an Okra Pick by Southern Independent Booksellers Association. 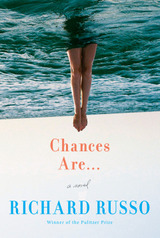 Peter Swanson's BEFORE SHE KNEW HIM optioned for television by CBS. William Boyle's THE LONELY WITNESS nominated for the Hammett Prize, awarded by the International Association of Crime Writers. A new novel by the Pulitzer Prize-winning author brings together three old friends to delve into the disappearance of the woman they all loved. A southern minster is driven to kill his blackmailer. The stakes are huge in the violent world of cockfights, and when a child stumbles upon a way to beat the system, he becomes the target of men who will stop at nothing to win. Before his monumental WHEEL OF TIME series, Robert Jordan wrote a fantasy novel that has never been published—until now. 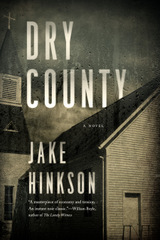 A young woman desperate to escape the toxic results of fracking in her home town gets caught up in a web of violence.